Tamara Wright is a long-time legal assistant to Chuck Banks, working with him since 1997. 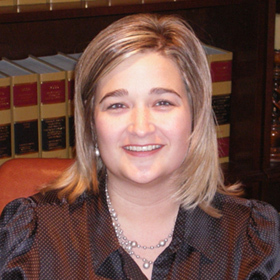 She assists Mr. Banks in every aspect of his practice, including trial work as a litigation paralegal. Tamara also acts as office administrator for the Banks Law Firm in conjunction with Nancy Banks. Tamara’s background and training is that of Certified Court Reporter, working as a freelance court reporter taking depositions and hearings throughout the state. She held this position for two years before joining Chuck Banks in his practice.